"Toy Story" comes alive at Walt Disney World. 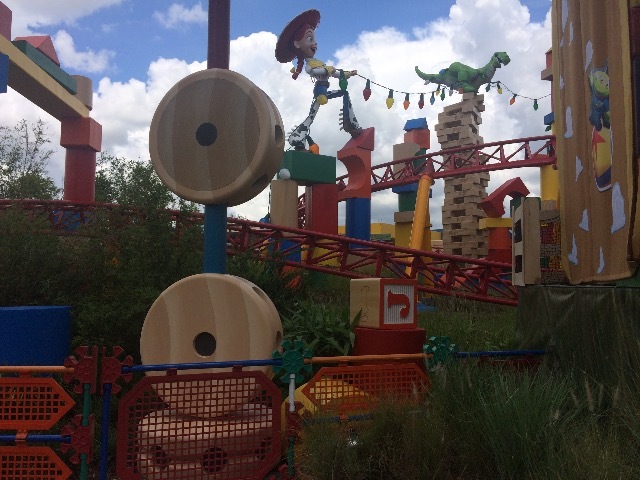 Published Oct. 15, 2018 at 8:06 p.m.
ORLANDO, Fla. – Located at the Hollywood Studio Theme Park in Walt Disney World, Toy Story Land – 11 acres of playful fun where the toys are larger than you – over-delivers a creative space for our inner Andy at any age. You will almost certainly recognize many of these toys from your own childhood, available for in gigantic versions perfect for selfies and photos. For instance, the Green Army Patrol is present, providing marching orders and entertainment. When you see the size of Andy's footprint, just imagine the size of your own footprint and start your journey. You become a honorary "toy" in Andy's toy box to set off on your own adventure to join Woody, Buzz, Jessie, Slinky and the gang. The lampposts are shaped like Tinkertoys and Sheriff Woody stands close to 20 feet tall. There are three main attractions. On this roller coaster ride, you are a passenger in Slinky Dog's coils, carried over hills and through twists and turns that offer excitement, thrills and hands-up screams. The pace is fine for younger children, but adults too will want to ride it more than once. Know before you go that the height restriction is set at 38 inches. It's a mild yet speedy ride and does not go upside down. With "The Claw" dangling above you, guests board a toy rocket ship and set off on a swirling adventure with new "Toy Story" songs and a ride through the Pizza Planet galaxy. This attraction swirls not spins, and with a little Disney Magic, this motion ride is, in my opinion, mild enough for those that do not normally like spinning rides. (That's me.) Maybe it was because of the cute aliens, but I found it intriguing how the platforms moved and the saucers swirled to the sights and sounds of "Toy Story." And don't forget to take a picture with the 14-foot-tall Buzz Lightyear action figure before you board! This is the same attraction as before – but now it comes with a completely new entrance. As you walk through the gateway – the box that Andy's Toy Story Mania Midway Games Playset came in – you immediately think you are one of those very toys! As you go though, you will be visiting some of Andy's other toys along the way, including View-Master discs and Crayola drawings. This is one of my absolute favorite attractions because it offers strategic play in real time – and it's most fun when you compete with another in your cart for the higher score. My own kids always seem to beat me, so I guess need more practice! If you are not a fast pass holder, waiting in line is a great time to try out the new Disney Parks mobile app. Once you download the app on your Android or IOS phone, this is an awesome way for guests age 13 and over to answer Disney trivia and challenge each other to fun in-queue games to pass time. You can find other app activities throughout Disney World Resort, not just at Toy Story Land. As you walk around Walt Disney World with your app on, you will see locations of where other activities occur. Interact with the physical environment around you and earn digital achievements as you progress with your family and friends. 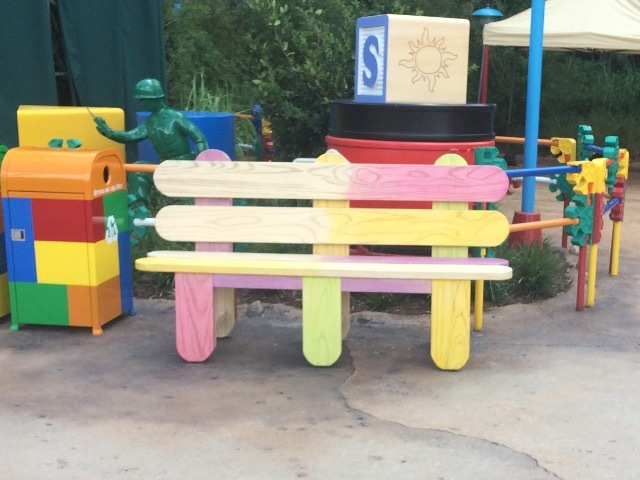 After a busy day in Toy Story Land, you may need a place to rest. The giant colorful popsicle benches are great for selfies and a relaxing place to try some of the new treats in the Woody's Lunch Box walk-up window restaurant. Exclusive to Toy Story Land, totchos are potato barrels with chili, corn chips and queso. Other must-try dishes include the three-cheese grilled cheese sandwich, the barbecue brisket melt and the tomato basil soup with some pastries. Other breakfast and lunch menu items are perfectly themed with the world around them – and I love that they offer Babybel cheese as a snack. Stay tuned for more excitement as Disney "imagineers" are working on four new themed experiences ready to be revealed in 2019: Mickey and Minnie Runaway Railway, Lightening McQueen's Racing Academy, Star Wars: Galaxy's Edge and a new "Star Wars"-themed hotel where guests are immersed into a futuristic space world. Disney Transportation has always been easy for getting around the four theme parks, as well as Disney Springs and Disney resorts. 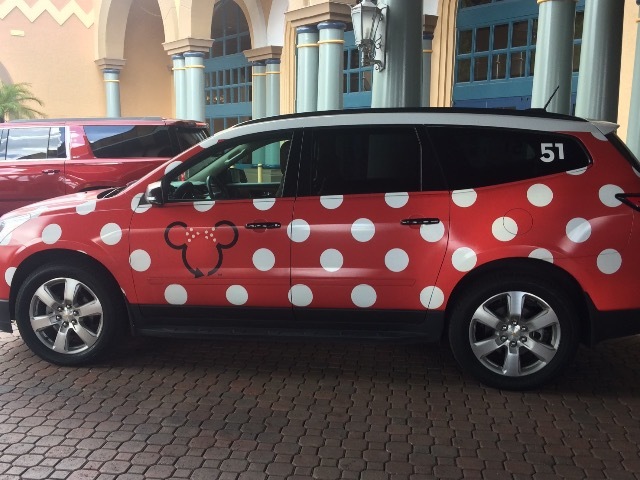 But now, with your Lyft app, a special Minnie Van Service is offered. For a small fee, you can hire a personal ride (on Disney property only). This is a great option for families looking for added comfort and saving time. Drivers are Disney cast members, and the service is available from 6:30 12:30 a.m.
Now, no "Toy Story" would be complete without toys! For a compete review of the "Toy Story" merchandise offered exclusive to Toy Story Land, head over to our Toy Tips Instagram page for updates at instagram.com/toytips. Marianne Szymanski is an author and the creator of Toy Tips. She is fascinated with all things toy related. 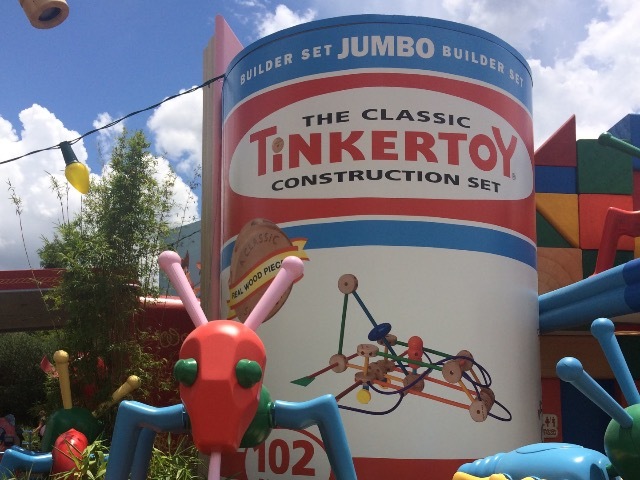 For more information, stay connected on Instagram with the hashtags #toytips and #toystoryland. 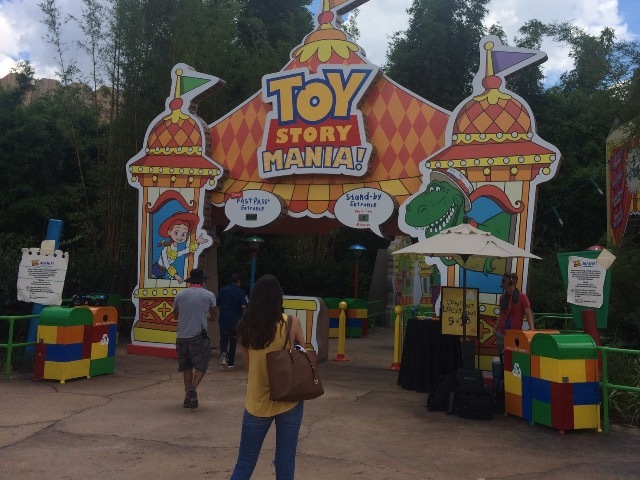 The author received a complimentary preview trip to the Walt Disney World Toy Story Press Event for the purpose to review Toy Story Land. All opinions and photos are her own.